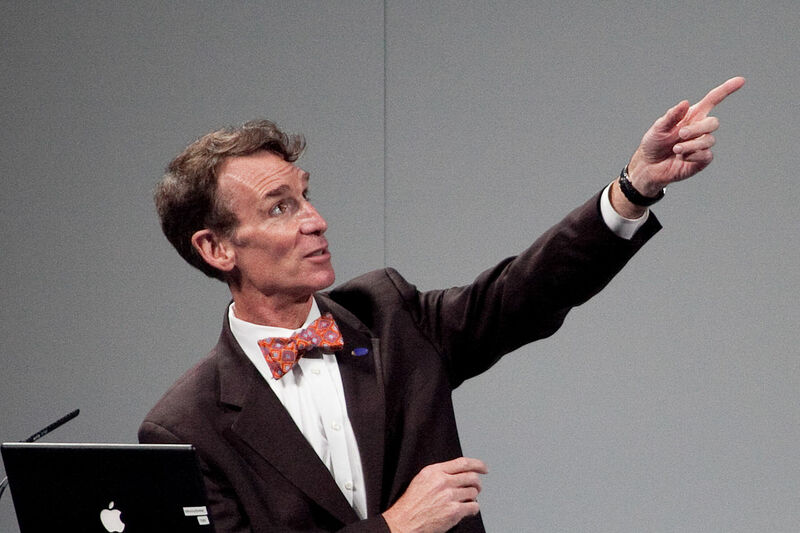 The folks at Epic Rap Battles released a new video featuring Bill Nye and Sir Isaac Newton. (Weird Al plays Newton!) Don’t miss the stellar, pun intended, third scientist who makes a cameo. The BioLogos Foundation is a Christian think tank that promotes harmony between biblical faith and science. Tomorrow, they’ll have an “Ask Me Anything” on Reddit from 3-5PM ET. Enns appeared on last week’s Newsworthy with Norsworthy podcast. The host, Luke Norsworthy, interviewed Enns about the relationship between the Bible and science. Enns wrote The Evolution of Adam, which is fantastic, and has a new book coming out in September. Philosopher Massimo Pigliucci appeared on bloggingheads.tv recently. Pigliucci has doctorates in biology, genetics, and philosophy of science. He also started a new webzine. If there is one thing that we learned from philosophy of science during the 20th century, it’s that there is no such thing as a “fact.” All facts, all pieces of information about the world, are actually embedded and they make sense only within a certain theoretical framework. . . .[Facts] become such only once we deploy certain ways of looking at things, and then you have to ask the question, well, where are those ways of looking at things coming from, and now you are already back into philosophy. If you have the time, it’s worth watching the entire interview. “Creationism” . . . is any doctrine or theory which holds that natural biological processes cannot account for the history, diversity, and complexity of life on earth and therefore rejects the scientific theory of evolution. The parties acknowledge that Creationism, in this sense, is rejected by most mainstream Churches and religious traditions, including the major providers of state funded schools such as the [Anglican] [Catholic] Churches, as well as the scientific community. What would happen if the United States passed similar regulations? No problem. Thanks for the great podcast! Wow, that’s insane that the UK made that assertion. I think in effect it is an unspoken understanding in most of the United States, but it is still amazing that they would come right out and say it. In some ways in the US that would actually inhibit the separation of church and state, as it is selecting against certain beliefs. Thanks for your thoughts! I thought the UK story would get much more coverage.